UK: Chinese state-owned investment holding company State Development and Investment Corporation (SDIC) has acquired Repsol's offshore wind power business, including the Inch Cape and Beatrice offshore wind projects, for €238 million. As part of the deal, SDIC has acquired the rights to the 784MW Inch Cape project and Repsol's 25% stake in the 664MW Beatrice project. 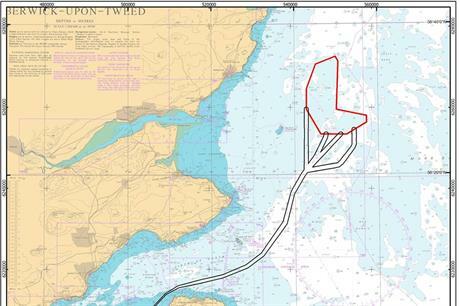 Both projects are located off the Scottish east coast. Repsol said it sold its offshore power business as a result of "the company's goal to sell non-strategic assets", it said in a statement. UK utility SSE (50%) and Danish private investor Copenhagen Infrastructure Partners (25%) own the remaining interest in Beatrice. It was awarded a final investment decision (FID)-enabling contract for difference subsidy by the UK government in April 2015. An FID is still pending, but is due early this year, according to WPO Intelligence, the research and data division of Windpower Offshore. The project is expected online by 2020. SDIC is the second Chinese company to invest in UK offshore projects in the last six months. In October, developer China Three Gorges acquired a 30% stake in the 1.1GW Moray Firth offshore project, also in Scotland, from Portuguese developer EDP Renovaveis (EDPR). Repsol held a 33% stake in the Moray Firth project before it agreed a swap deal with EDPR in July, resulting in Repsol acquiring the whole of the Inch Cape development.